As has already been noted in this blog, Chez Guru we have excellent relations with les voisins. We watch each other’s house for raiding parties of Marseillaise burglars, we cordially agree about the height of boundary bushes, and we have convivial drinks every other month. Recently this happy neighbourly state of affairs has been threatened by the arrival of a colony of Burgundy snails, being cultivated by the voisins for the table. Snail farming at home is something of an obsession in France at the moment. 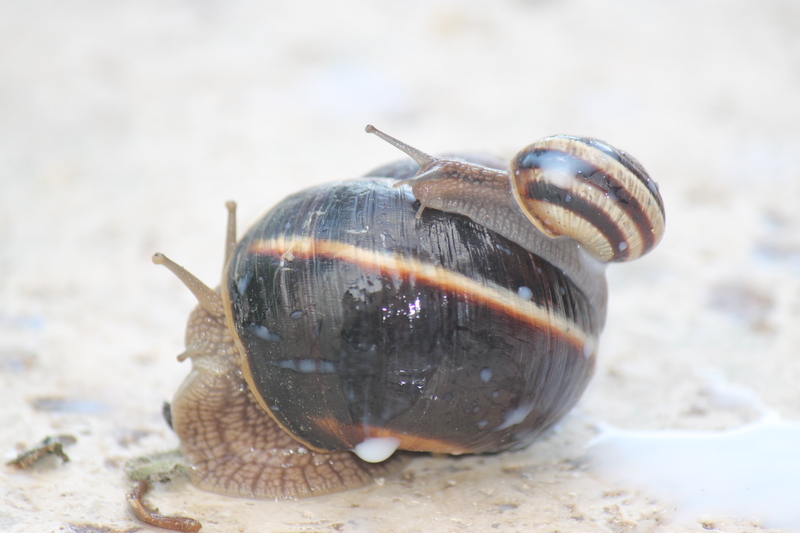 The Times recently reported that commercial snail farms in France were facing extinction due to competition from Eastern Europe where enormous breeding colonies of Burgundy snails have been established. Restaurants in France sell the vrai Burgundy snail to their customers but omit to mention that the garlic smothered delicacy grew up in Poland, before being boxed and shipped. As a result any self-respecting Frenchman wanting to be sure of the provenance of the snails on his plate is now raising their own. Which is all well and good unless you have interfering English neighbours. Our first offence against French gastronomy was to drive too fast down the dirt track that leads to our house. Only a diving save by the voisin saved a large plump snail from being crushed beneath the wheels of my car. The expression of horror said it all, any more driving like that and the monthly drinks are over. Now we have a new problem. Apparently the grass on our side of the boundary fence is much greener and juicier, and the snails are all migrating. Normally this would not be an issue we could fatten the snails up and return them ready for the table. However our three children have rather determinedly established a snail sanctuary. Currently upwards of fifty snails are living a well fed life of utter security in a large box in our back garden. I know we should return them, but the children are now very attached. They scour the garden for the choices greens, hold daily snail races, and have even set up a nursery area for the young snails. It’s gone on too long already, the snails are now pets, but they are destined for the table. A border incident is inevitable and it’s my prediction that Anglo French relations will reach their lowest point since Sarko refused to shake just-call-me-Dave’s hand at an EU conference a year ago.